Rain or Shine! Snow or Wind! The drive thru is always a convenient way to drop off your recyclables. Our friendly employees will unload your vehicle, weigh your recyclables, and give you cash or tokens. Recycle today! Bring your recyclables to the Kalix Recycling Center and get paid market rates for aluminum in cash, or get 5¢ per pound premium extra when you request tokens. The rate for all other recyclable materials is 1¢ per pound in tokens. Tokens spend just like cash at our participating sponsor, MarketPlace foods. Enter north parking lot and take driveway to the NW door. Items may be in boxes, bags, or tied. Containers must be empty, drained, and rinsed. Not necessary to remove labels. Can also include paint cans (thin layer of dried paint allowed), aerosol cans (leave spray nozzle on but remove plastic lids), and canning rings & lids. Beverage bottles ONLY, up to two liters in size, clear, light blue or green, may include caps. Must not include construction paper, wrapping paper, wallpaper, or paper plates. May include all inserts delivered with the newspaper, but no other papers. Jugs with necks ONLY (ex: detergent and milk jugs), up to three gallons, colored and white (natural), no caps please. Must see a wavy center layer when viewed from the edge. May include brown paper grocery bags. May not include fiberboard (ex: cereal boxes) or wax-coated cardboard. Any magazines/catalogues including glossy types. Responsible waste management includes proper care for computers and related equipment. 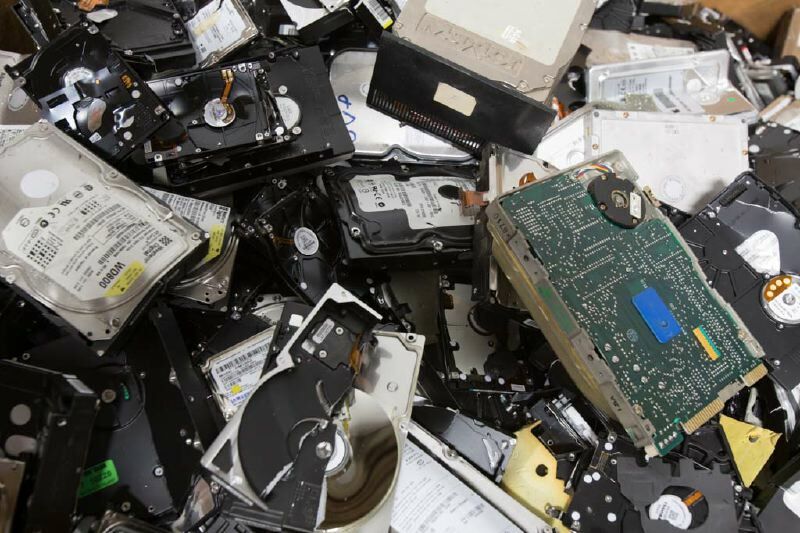 The EPA advocates for reuse, recycling, and refurbishing of computer equipment to reduce landfilling, save energy, reduce pollution, and reduce extraction of new resources. We offer a full range of IT Asset Management services, including refurbishing equipment, reuse of full systems or usable parts, disassembling of components for metals recovery, and media erasure or destruction for confidentiality reasons. Computer equipment may be dropped off at the Kalix Recycling Center (see location and hours above) for the low prices listed below or contact us to arrange for pick-up of larger quantities. Call (855) 909-9729 for more information, quotes for other types of computer equipment and larger volumes, or to arrange for pick-up. Note: we cannot accept microwaves, toasters, large or small appliances, air conditioners, smoke/CO2 detectors, humidifiers or dehumidifiers. Date * We cannot guarantee that this date will be available, but we'll try our best. Actual pickup date will be confirmed prior to pickup. You receive peace of mind that your information is not compromised while contributing to employment for people with disabilities and a greener earth when you bring your shredding to the Kalix Recycling Center! Kalix Recycling customers are paid a penny per pound in tokens for all eligible recyclables in appreciation for participating in the program. Aluminum beverage cans are purchased for cash at the current market rate. Customers have the option of requesting tokens for aluminum instead of cash at the current market rate PLUS five cents per pound. Tokens may be spent just like cash at participating sponsors. Hard and soft covered books are recycled a variety of ways at the Kalix Recycling Center. All books are accepted but not purchased. Books are an important source of paid jobs for people with disabilities, and we are actively soliciting books from all sources, including forming partnerships with area schools and libraries. Non-salable books are disassembled so that the paper may be recycled. Fluorescent bulbs contain mercury and ballasts may contain PCB’s. Both are hazardous wastes which can cause environmental contamination. The Kalix Recycling Center is a permitted transfer station. Bulbs and ballasts are collected and stored in approved containers until shipped to a qualified hazardous material recycler for further processing. We guarantee that your fluorescent bulbs are safely recycled. We handle all quantities – from a single household bulb to large volumes from businesses. We are prepared to assist with your storage, collection, and transportation needs. Certificates of destruction are issued to provide permanent documentation that your business disposes of fluorescent bulbs and ballasts responsibly. Reasonable rates. Call (855) 909-9729 for more information. Kalix opened the Recycling Center in 1994 in order to provide employment opportunities for people with disabilities. It has been a successful venture, employing people to unload customer cars, sort recyclable commodities, empty confidential document bins at customer sites, shred confidential documents, disassemble computers into components, sort books, sell & ship books, and tear pages out of books for recycling as paper. Over the years, we have learned a few things about saving the earth, price fluctuations in recycling markets, and meeting quality standards. 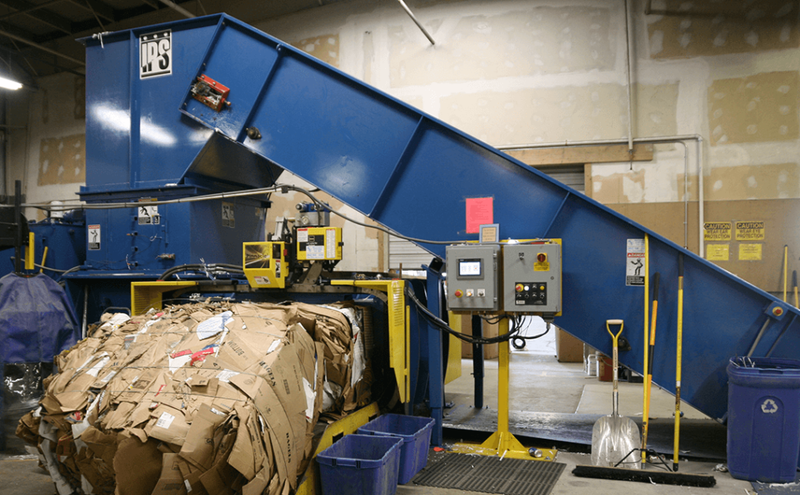 Sorting is the single most important step in recycling – whether items are sorted initially by the customer or sorted later in the warehouse – inadequate sorting translates to contamination that prevents conversion to new products and instead results in materials headed to the landfill. Most recycling programs are operated by a government entity which has the ability to impose mandatory recycling, charge fees, and/or subsidize costs with taxpayer funds. Because we are a private business, our program is limited to commodities which we can sell at a price that covers all or at least most of our costs on average. We don’t have enough volume or outside funding to offer curbside pickup or single-stream recycling (where the customer dumps everything in a single bin and it gets sorted later). Participation is based on the community’s willingness to voluntarily go to the extra effort of saving, sorting, and delivering recyclables. We appreciate our sponsors for funding the token program that offers incentives to our customers, and we especially appreciate your commitment to doing your part in taking care of our planet! Recycled products may be re-made into the same type of product or made into something that looks very different. Many recycling centers send commodities overseas (China is the biggest purchaser), but all of our products are currently re-manufactured in the United States. 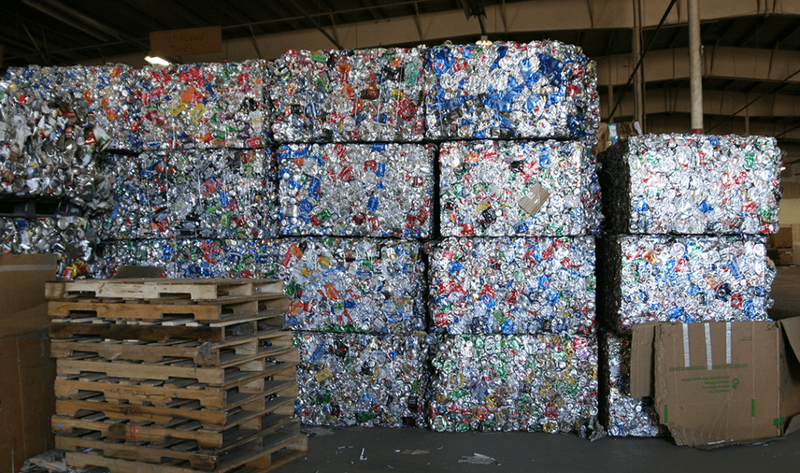 Aluminum beverage cans and steel food cans are melted down and used to make new cans. Most cardboard that comes through the Kalix Recycling Center is made into new cardboard, but some may end up as fiberboard (cereal boxes, etc). 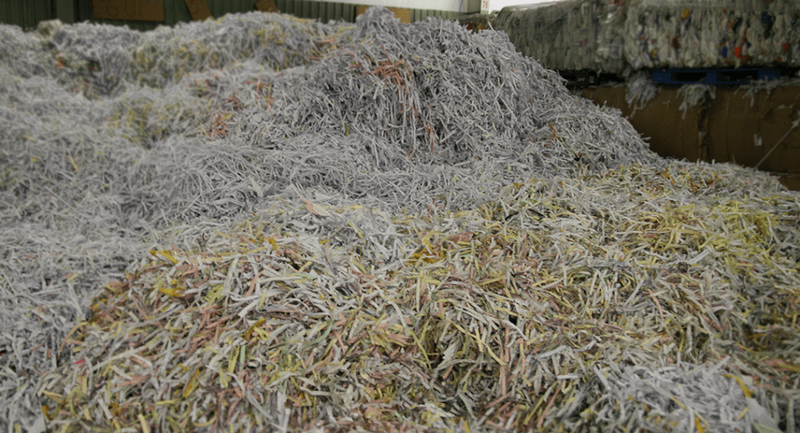 Most of our newspaper and magazines are made into new paper for printing, but the newspaper may also be used to make egg cartons or cellulose insulation. Our mixed paper (office paper & junk mail) ends up as a variety of paper products – mostly paper plates, paper towels, and napkins. Plastic beverage bottles (#1 PET) are actually chemically the same as polyester. The bottles are shredded, recycled into fibers, and used for carpet and fiber-fill inside jackets. Plastic jugs (#2 HDPE) are re-manufactured into plastic lumber, drain-tile, and similar consumer products. Hard and soft-covered books are re-used and re-cycled in a variety of ways. Read more.